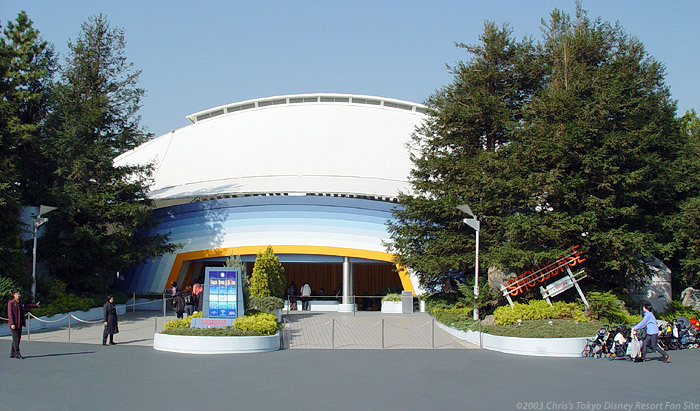 Showbase (formerly Showbase 2000 until the year 2000 came and went) is a covered amphitheater, and is home to some of Tokyo Disneyland's biggest and most popular live stage shows. The same show can run here for several years before being replaced. All shows have a similar theme: celebrating the history of Disney movies and characters. The shows are all music and dance, and feature some incredible sets with eye-popping special effects. Although there's a lot of seating, there's always a line for the show which can form long before the show starts. If you want to get a good seat, make sure you arrive at least 45 minutes before show time.